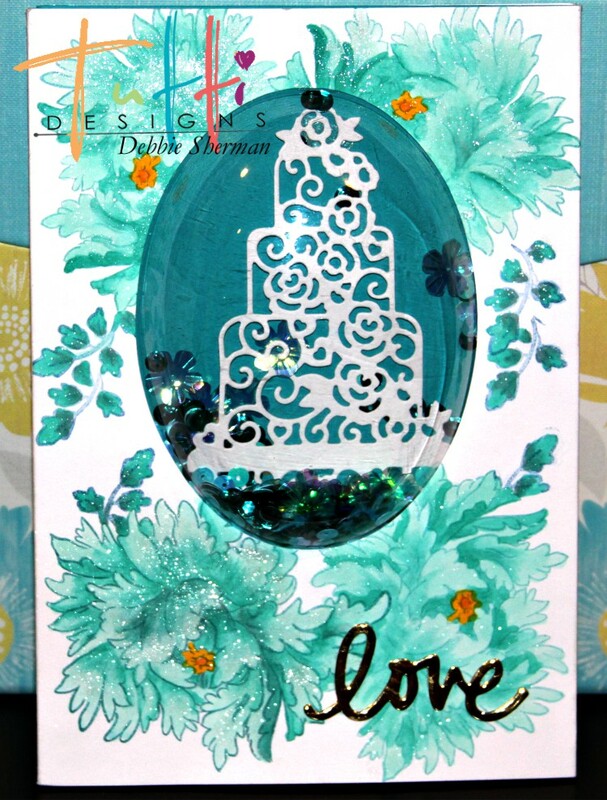 To make this card I pulled several old products and lots of new products from my stash. The first of the older products is a clear bubble that comes with its own trifold cards and already has the oval cut into the panel. 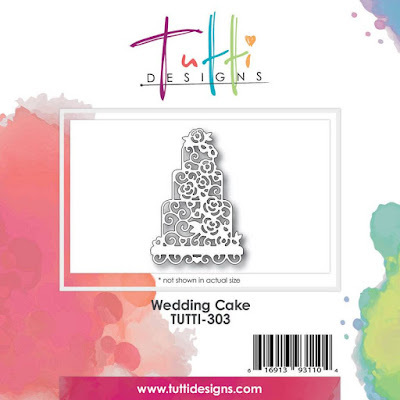 Follow the directions below to make this fun card. 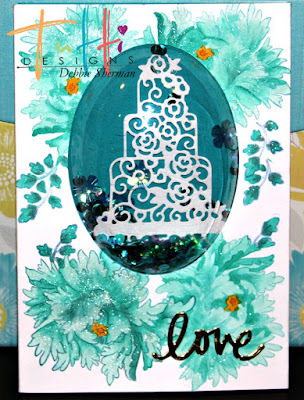 If you can't find the bubbles to purchase this card can be made with acetate and foam tape. I stamped all the flower images and colored them with Copic markers. I went over the top of all of them with Wink of Stella to give it some sparkle. Next step is to add your bubble from the inside of the card panel and adhere it to the panel. I used Beacons 3 in one for this because it sticks to acrylic and you don't have to worry about it coming apart. Time to add your sequins to the bubble. Next you will need to add more 3 in one to the back of the bubble and then adhere the piece of coordinating card stock with the die cut Wedding cake to the back of the bubble. 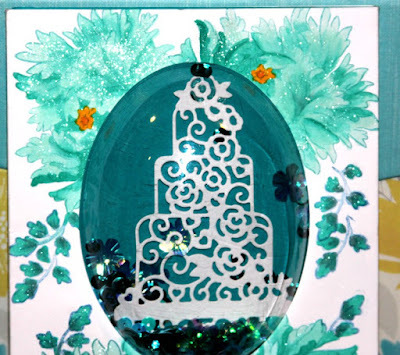 I simply die cut my Wedding Cake and then adhered it to the card stock I used for the back of the bubble panel making sure it would be visible through the bubble. 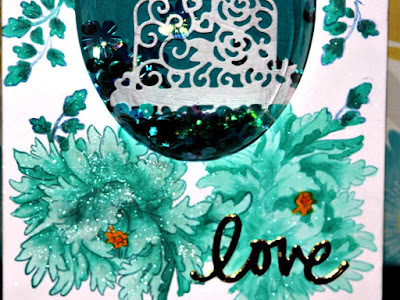 Die cut your sentiment from gold card stock and adhere it to the bottom of your card.